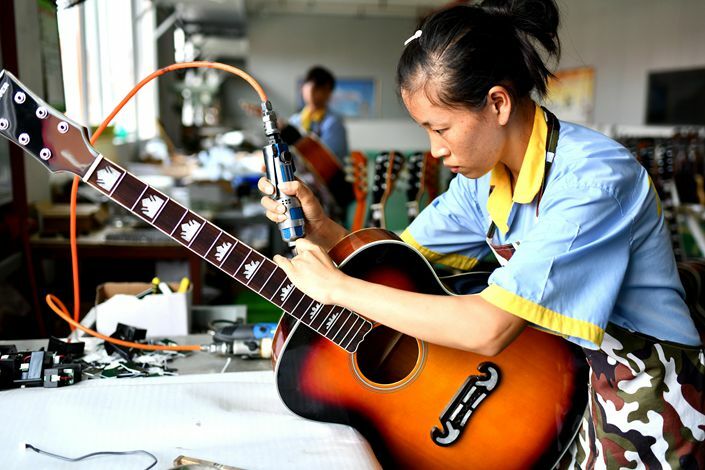 (Beijing) — Chinese manufacturing grew at a slower pace in July as heavy rain and high temperatures disrupted production, and international trade tensions dampened demand, official data showed on Tuesday. The manufacturing purchasing managers’ index (PMI) for July, released by the National Bureau of Statistics (NBS) (link in Chinese), came in at 51.2, its weakest since February. The nonmanufacturing PMI, which includes the construction sector, came in at 54, its slowest expansion in 11 months. A figure above 50 indicates activity expanded, while anything below that signals it contracted. Output and market demand slowed in July as some factories and mines suspended production due to “unfavorable weather conditions,” NBS analyst Zhao Qinghe said in a statement. He was referring to the heavy rainfall that caused floods across the country, affecting 23 million people and leaving at least 86 people dead, according to the official Xinhua News Agency. Volatility in the yuan’s exchange rate and rising international trade frictions led exports at some companies to fall and imports of raw materials to decline, Zhao added. 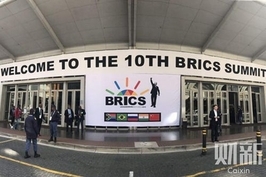 However, the month’s relatively small contraction was on the same scale as in June, which “suggests that the impact of the first tranche of U.S. tariffs that came in last month is being largely offset by a weaker renminbi,” London-based Capital Economics said in a note. On July 6, the U.S. followed through on its threats by slapping tariffs on $34 billion of Chinese goods. The yuan then hit its lowest level in a year as escalating trade tensions between China and the U.S. eroded market sentiment. While the nonmanufacturing PMI registered a slowdown in the rate of expansion, 15 out of 20 industries it measures saw an increase in business, with transport and communication seeing strong growth above 60. While construction fell 3.9% on the previous month to 57.8, this was also due to poor weather, Zhao said. At the same time, the PMI’s gauge of company confidence reflected through expected production and business levels fell to its lowest since July 2016, when concerns that the real estate market was overheating undermined market sentiment. The drop in confidence also suggests that companies were expecting some fallout from the ongoing trade tussle. The slowdown follows a stable June for the manufacturing sector, according to the NBS, and a strong May, when factory activity hit an eight-month high following an increase in demand in both domestic and foreign markets. Manufacturing contributed 30.4% of China’s gross domestic product (GDP) in the second quarter of 2018, official figures show, while construction accounted for 7.1%. The services sector was responsible for the lion’s share of the country’s economic activity, accounting for 52% of GDP over the period. 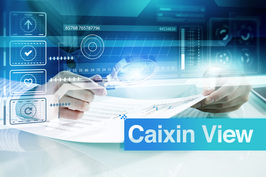 The independently compiled Caixin China General Manufacturing Purchasing Managers’ Index is scheduled to be published on Wednesday.